Bangalore, March 28, 2017: MasterChef runner up and Bangalore celebrity chef Shazia Khan today demystified ‘nouvelle cuisine’ for the home cook at a food tasting event. 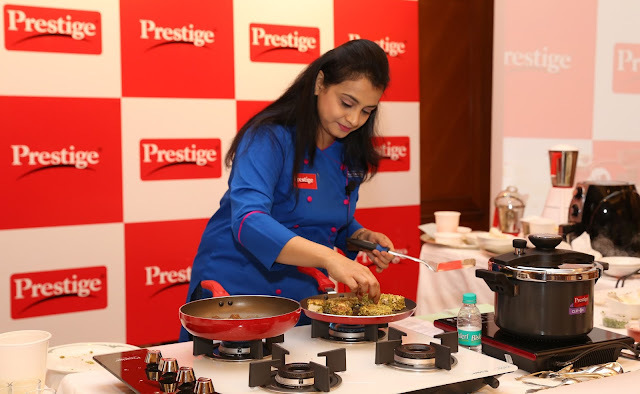 The event hosted by TTK Prestige, showcased Chef Shazia demonstrating the ease of recreating Michelin star quality food at home and reiterating the importance of sourcing fresh local produce and quality ingredients for fine tasting food. 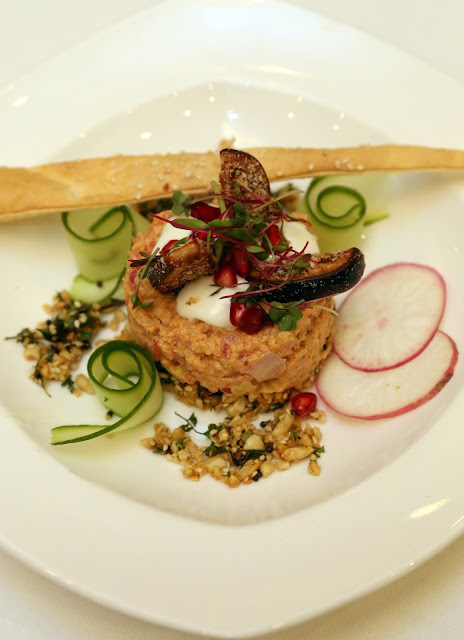 Chef Shazia conceptualized a fusion menu for the event comprising: dukkah crusted paneer with creamy beetroot, the brinjal affair, grilled figs with almond crumble and vanilla mousse, chilly mutton sliders, Cuban chicken skewers and specially concocted grape juice puchka shots. During the preparation of her dishes, she used a range of innovative kitchen tools and gadgets from TTK Prestige that included: Prestige Air-Fryer, Prestige Slow Juicer, Clip on pressure cooker, Schott glass gas hob top, Automatic mixer grinder, Induction cook top, Gold cookware and the Veggie cutter. Shazia Khan is an Indian celebrity chef and runner up of the popular show Master Chef India. Chef Shazia is a self-taught cook with an innate love for cooking and a flair for adding experimental culinary flourishes to her dishes. As author of the cookbook ‘What’s on the Menu’, Chef Shazia spends her time conducting culinary workshops and hosting live cooking demonstrations around the world. Chef Shazia has hosted TV shows and YouTube videos. She is also involved in the family-run education business and is a member of the board of management at Delhi Public School.